Canada Soccer has partnered with Ontario Soccer, Own the Podium, Sport Canada, the Canadian Sport Institute Ontario, and Bill Crothers Secondary School in Markham, ON, to launch its third Regional EXCEL (REX) Super Centre in Canada. The Ontario Regional EXCEL Super Centre will launch in January 2018 and provide Canada’s top youth talent with a centralised daily training environment that supports Canada’s elite women’s youth players through advanced curriculum. Talented U-14 to U-18 players will be offered a comprehensive training program aligned to Canada Soccer’s national curriculum that provides an opportunity to accumulate high-quality training hours while developing world-class attributes across the four corners of Canada Soccer’s development program. The 28 players attending the first intake of Canada Soccer Ontario Regional EXCEL Super Centre in January will engage in a full-time program and train or play five days per week in a “best with best” environment with national and internationally licensed coaches from January to June, while attending Bill Crothers Secondary School. Since the inception of the Women’s EXCEL System in 2014, player development progress has improved across all age groups, and a significant number of youth players having excelled towards Canada Soccer’s Women’s National Team, including bronze medalists Deanne Rose (Alliston, ON), Kadeisha Buchanan (Brampton, ON), Ashley Lawrence (Caledon East, ON), Rebecca Quinn (Toronto, ON), and Jessie Fleming (London, ON). 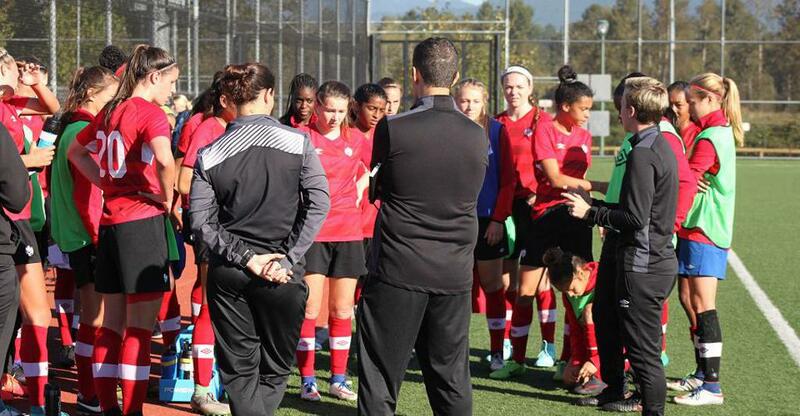 “An aligned player development pathway is a shared vision for soccer in Canada and will provide long-term sustainability for Canada Soccer’s National Women’s Programs, resulting in benefits for Canada’s most talented players. By working in partnership with Ontario Soccer, Own the Podium, Sport Canada, the Canadian Sport Institute Ontario and Bill Crothers Secondary School, the launch of this program is a first step towards the creation of a sustainable model that can be delivered regionally,” said Peter Montopoli, Canada Soccer General Secretary. Ontario has a history of producing young players who accelerate through the development system by demonstrating “Gold Medal Standards” at the highest levels. By aligning the training environment in Ontario with Canada Soccer’s development program nation-wide and with the opportunity to develop alongside the best in their age group, Canada Soccer’s Women’s National Team will be best positioned to have a continued flow of players who have the technical and cultural understanding that will allow them to succeed on the international stage.